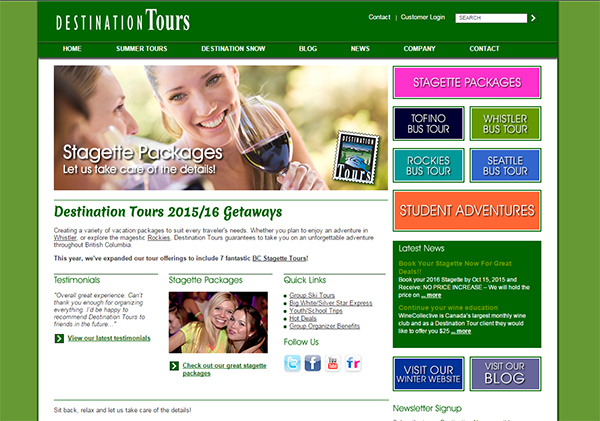 Destination Snow, BC’s largest group ski and boarding bus tour specialists. 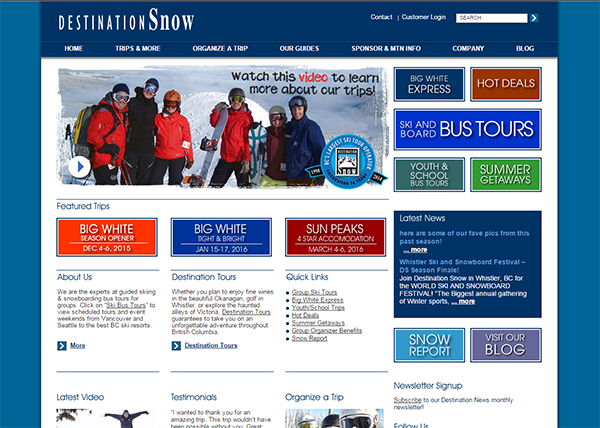 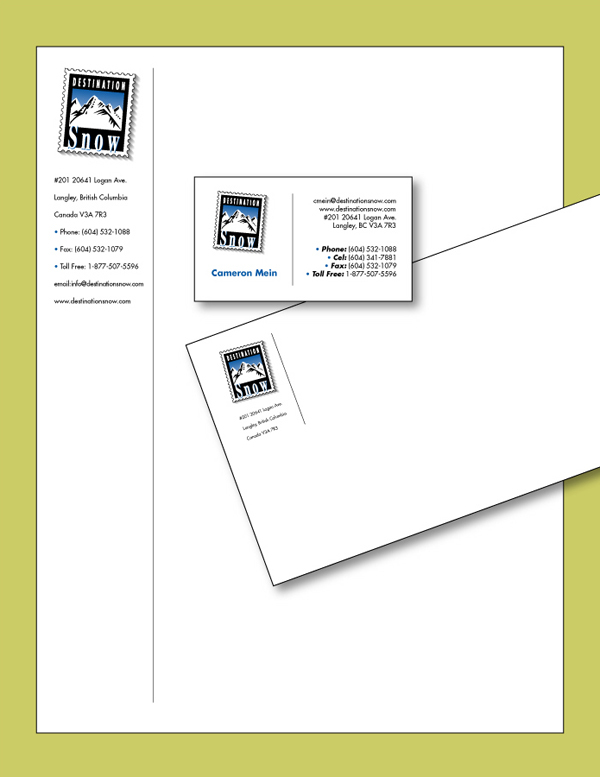 We were approached by this client over 17 years ago to design the logo and corporate identity for Destination Snow and Tours. 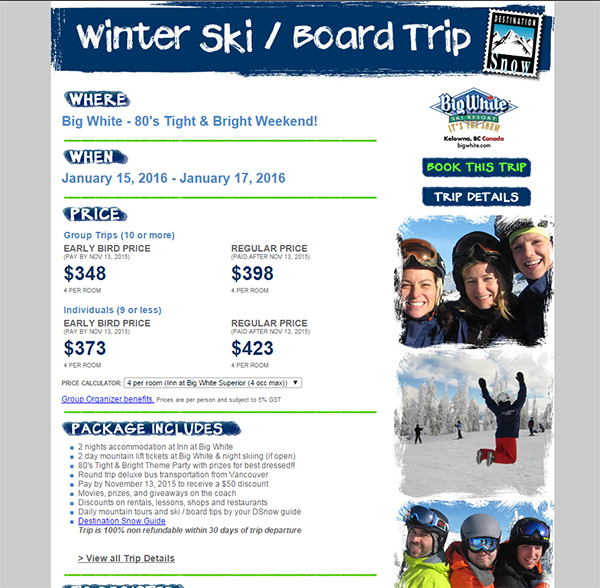 Over the past 17 years, we have maintained an ongoing relationship with this client, designing both the Destination Snow and Destination Tours website, booking site, flyers, creating their Facebook page, and managing their ongoing Adwords campaigns.